Gold Recovery from Electronic Scrap is a very lucrative business. But you must find out the right source to buy the material. Because there are two things when you start this business. Number one you should choose the right methods to recover all precious metals from electronic waste (E-Waste). Number two- you should be good at purchasing the material also. Being good at only one thing won’t help. 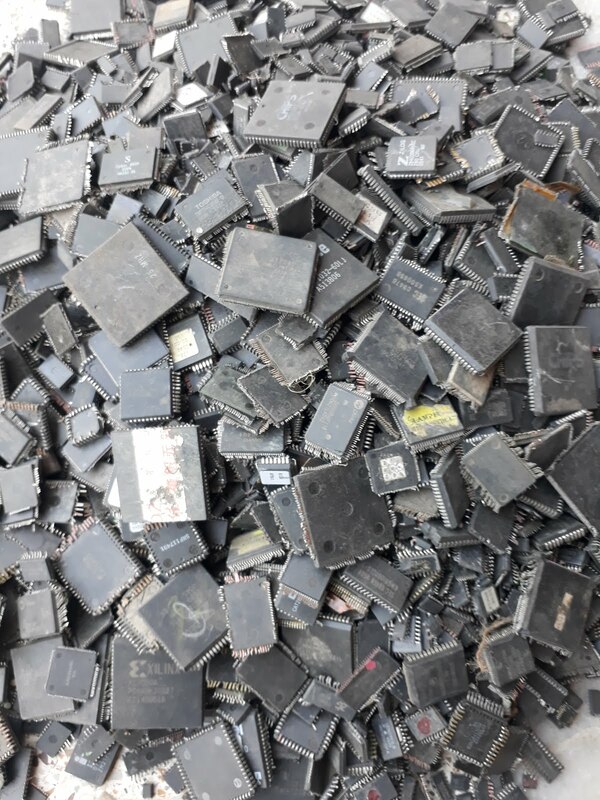 When we say electronic scrap, it is not one single big thing. It is a mixture of either, so many electronic circuit boards or a variety of whole devices. The best thing about it, according to my experience is that you should not process everything. You should be choosy if you want to make more money in a short time. When we talk about precious metal recovery from electronic scrap, it is not every component of the electronic scrap that yields precious metals. There are only particular components where precious metals are used. For example, chips, processors, golden fingers, gold plated connectors, some special diodes and transistors, monolithic ceramic capacitors and relays etc.. If you happen to buy a mixed lot of electronic scrap, you should first segregate the items. Now one by one take away the above mentioned precious metal bearing components. There are customers for almost everything that you get from e-waste. So, you can sell the rest of the items (Non gold bearing ones) to the e-waste recyclers. There are tests through which you can determine the presence of different precious metals. For example, if you think that a particular component is silver plated. You can first put a drop of nitric acid on it, and then a drop of hydrochloric acid. If there is silver, either in the form of alloy or polish; there will be curd- like formation on the surface of the metal. For gold, you can put a drop of nitric acid on a component or a piece of metal looking like gold. Gold does not react with nitric acid. It stays as it is. If it is copper or brass etc., nitric acid will react and dissolve the metal. The same way, there are methods for testing palladium and platinum also. Gold polish can be removed from the components through an AP process. CPU’s/Processors are best treated for gold recovery with aqua regia. Gold can be removed from the pins through sulfuric cell also. In my next article, we will discuss some precious metal recovery methods in detail. Please follow, share and like my blog, and oblige me with your comments if you like this article. Translation: Where can I buy these chemicals need your help Thank you. Please write in English, if possible.